The Druck PV411A is a revolutionary development setting new standards for hand held calibration sources. 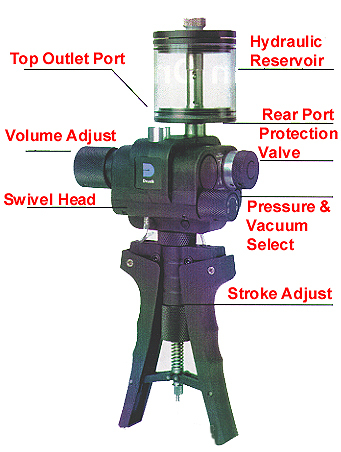 This remarkable product replaces four conventional hand pumps and offers many unique features. The PV411A generates up to 10,000 PSI using hydraulics, 600 PSI pneumatically, vacuum to 95% and a fine range for low"H2O pressure generation.